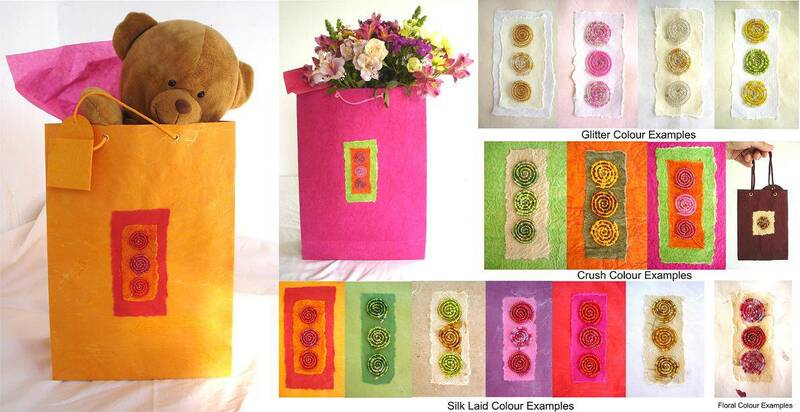 Made using our plain handmade paper gift bags. The Beaded Twirl Decoration can be added to any of the colours available in our four different paper types. Please select your paper type from the drop down menu and type the require colour into the comment box.